Stephen Gundle is Professor of Film and Television Studies at the University of Warwick. His books include Between Hollywood and Moscow: the Italian Communists and the Challenge of Mass Culture, 1943-91 (2000), Bellissima: Feminine Beauty and the Idea of Italy (2007), Mass Culture and Italian Society from Fascism to the Cold War (2008, with David Forgacs), Glamour: A History (2008) and Death and the Dolce Vita: The Dark Side of Rome in the 1950s (2011). 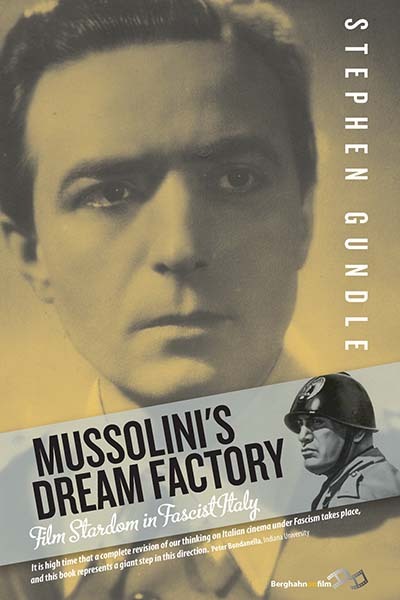 He is co-editor, with Christopher Duggan and Giuliana Pieri, of The Cult of the Duce: Mussolini and the Italians (2013).